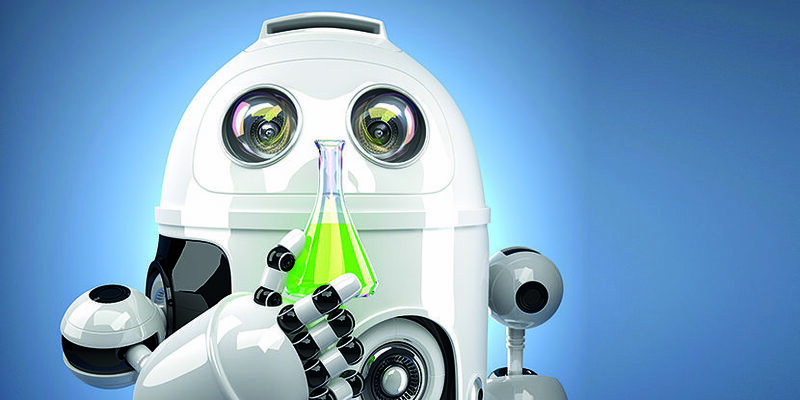 The pharmaceutical industry is in upheaval – as are its IP departments. Blockbuster patents are reaching the end of their lives, while new developments in drugs and medical technology are revolutionising healthcare. New players such as Samsung are moving into the market as well. It will take time to adjust. The building sits right on the Rhine. In a paddock just in front, horses doze in the shimmering summer heat while the river lazily flows on by – it is not the traditional picture of German industry. There is nothing to indicate that the intellectual property rights for the inventions of one of the world’s largest life-science companies are managed just a stone’s throw away. Nestled in the heart of the Rhineland, barely ten kilometres from the smoking chimneys of Bayer AG in Leverkusen, Bayer Intellectual Property (Bayer IP) chose the small town of Monheim to set up its headquarters, the Creative Campus. Bayer outsourced most of its global IP activities to Bayer IP in 2012. In tax terms, Monheim has its advantages: the town in the German state of North Rhine-Westphalia has been wooing companies for years with its low local trade tax. But this was not the primary reason Bayer chose to unite the IP teams here: “Before, the patent attorneys were scattered across divisions,” says Jörg Thomaier, who co-founded the IP company at the time and still leads it today. Previously, the individual patent departments were incorporated into what were then still independent divisions, such as Bayer CropScience, Bayer HealthCare and Bayer MaterialScience (today Covestro). “Sometimes, a division would file a patent infringement suit against a competitor who was actually a direct partner of another Bayer subsidiary in another business segment, and that would destroy trust,” says Thomaier. Pioneer of integration: Jörg Thomaier established a global IP team at Bayer, anticipating in 2012 the corporation’s decision to bring all subsidiaries under its umbrella. In founding Bayer IP, the company has streamlined its structures and boosted efficiency. It also introduced a quality-management system. In retrospect, according to Thomaier, there is another advantage: “Ever since the IP activities were consolidated, the employees have identified more with the company. We were pioneers in terms of bringing individual divisions back under the corporation’s umbrella. The structure has proved itself,” he says. Bayer IP is still an independent entity, but operates in close cooperation with the parent company. At its core, this is reflected in the operational business divisions such as consumer and animal health, plant species rights and pharmaceuticals (Clear Structure, pg. 10). Almost 70 percent of Bayer’s industrial property rights are in the hands of the IP subsidiary. Although new intellectual property rights remain part of the respective researching division, they are still centrally managed by Bayer IP. Many pharma companies have thus beefed up their IP departments, often restructuring them completely. The strategies are varied, however. Merck, for example, opts for a central IP management similar to Bayer that focuses on the various business segments but is not a separate entity. 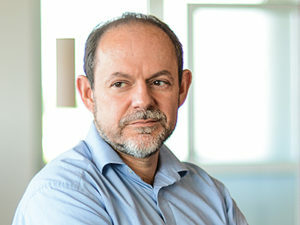 While the IP attorneys responsible for non-technical IP rights are part of the legal department under the helm of Friederike Rotsch, the patent department itself stands apart, with its head Wolfgang Losert reporting directly to the members of the executive board responsible for the performance materials business. “It‘s much more effective to bundle global IP issues at headquarters than have them strewn across various locations,” says Jonas Kölle, head of Merck’s IP department. “Close ties between the IP department and individual divisions make sense because lawyers acquire a certain know-how.” The different divisions also have different strategies for protecting products. “In contrast to our prescription medications and medical products whose advertising and distribution are subject to strict legal and regulatory requirements, our life science products and services are sold online worldwide – this throws up very different legal issues in terms of the jurisdiction of Internet providers,” explains Kölle. Merz Pharma, on the other hand, integrates its IP and patent departments into the legal department under Anke Frankenberger. “In my experience, it doesn’t matter where the individual departments are situated, what matters is that they work together,” says the General Counsel. 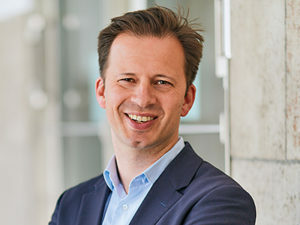 Advocating central management: Jonas Kölle heads the IP department at Merck’s Darmstadt headquarters, which he says is more effective than a decentralised setup. When it comes to proceedings, Bayer IP has its own department. “In pharmaceuticals and crop protection, oppositions are quite rare. But for nullity and infringement suits we use both our in-house teams and experienced litigation firms, especially because then it’s usually the really important cases,” reports Thomaier. The majority of infringement cases are tried abroad, however, mainly in the united States. “In such cases we retain experienced IP litigation firms but coordinate them from Germany together with Bayer’s IP groups in the US.” Other pharma departments for intellectual property do the same. But with what structure are companies best equipped for the future? While the industry is undergoing such a fundamental shift, it is difficult to say. A so-called patent cliff is looming in the mid 2020s as many blockbuster patents will expire, by which time there will undoubtedly be new lucrative products on the market. In addition, innovative developments such as biotechnologically manufactured drugs are posing new challenges for pharma companies. So far, these new developments have above all informed IP departments’ HR policies. Instead of recruiting chemists, they now seek to fill their patent attorney posts with biologists and electrical engineers – or to look for trademark lawyers with IT experience. Companies are training their IP teams in these new fields, and frequently look to their panels for fee earners with these rare qualifications. This does not always go down well. “Our clients often ask if we want to send them experienced associates on secondment. They don’t want junior associates that they have to train themselves,” complains a patent lawyer. Bayer IP head Thomaier is not worried, however: “As far as biologics are concerned, these new players are simply just more competitors that we will have to compete with technologically and with better products,” he says. Bayer will certainly have to keep an eye on these newcomers and see how their business models unfold, so as to better position itself. Otherwise its idyll in the Rhineland could be a lot less tranquil in the future.